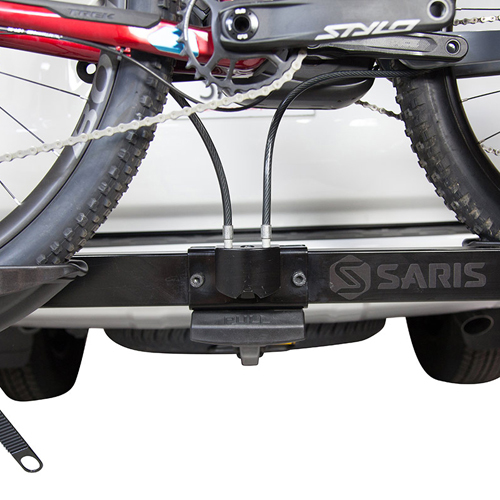 Saris 4025f Freedom SuperClamp EX 2 Bike Platform Style Trailer Hitch Mount Bicycle Rack transports 2 bicycles and fits both 1.25" and 2" receiver hitches. 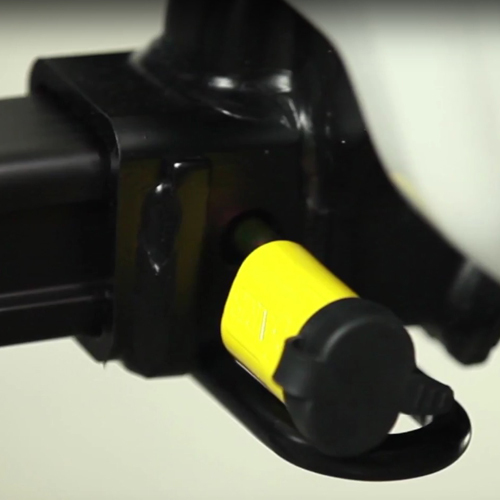 The Freedom SuperClamp EX has a sleek, compact, lightweight design weighing in at 35 lbs. 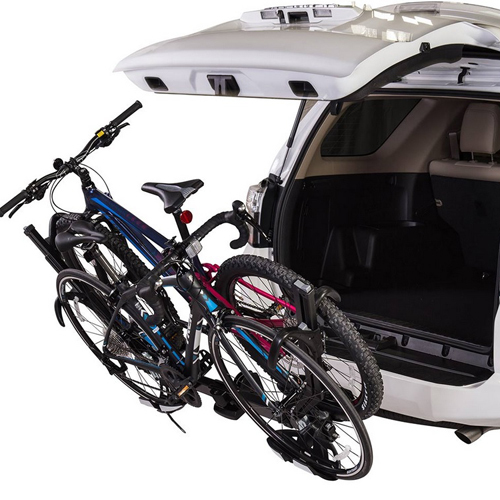 It transports 2 bikes up to 60 lbs each. 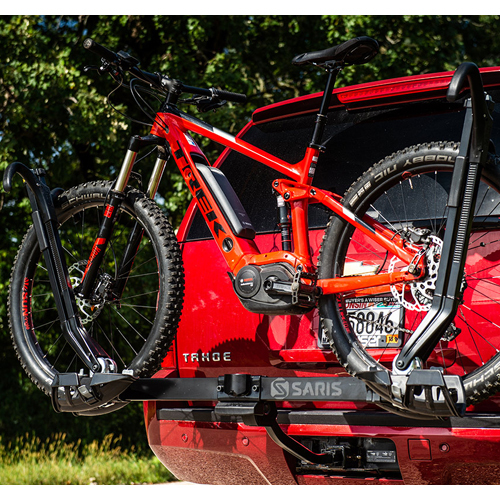 The Saris 4025f Freedom SuperClamp EX is one of the fastest loading bike racks thanks to the dual front and rear wheel clamping hooks that completely eliminate frame contact and make it an ideal choice for carrying bicycles with carbon fiber frames. 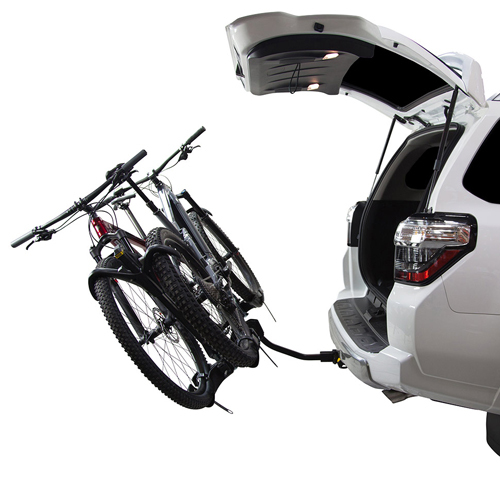 The Freedom SuperClamp EX has a convenient tilting feature which allows access to the rear of the vehicle - even when fully loaded. 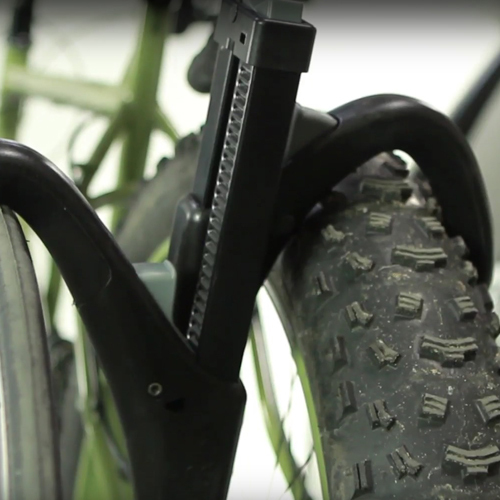 The Freedom EX folds up when not in use. 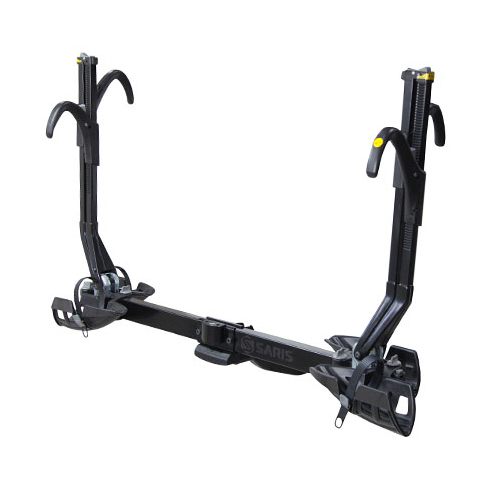 The Freedom SuperClamp EX uses adjustable hook arms and wheel holders that accommodate wheelbases up to 48 inches and wheel sizes up to 4 inches. 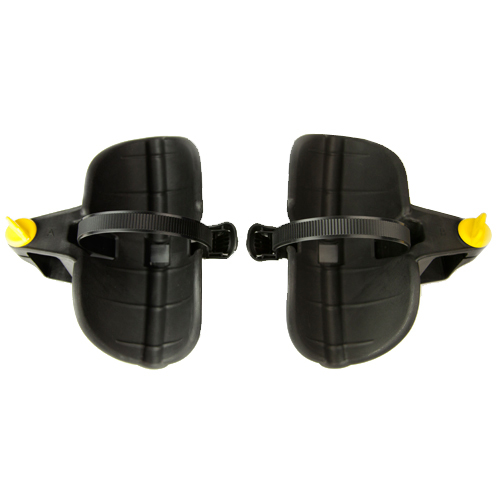 To use with tires wider than 4", add the Saris 4419 Fat Tire Wheel Holders (sold separately - see below). 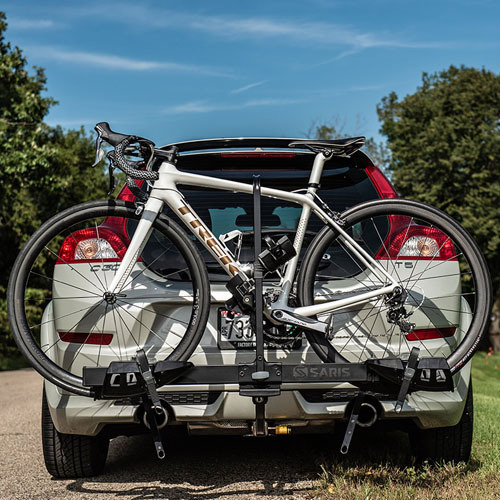 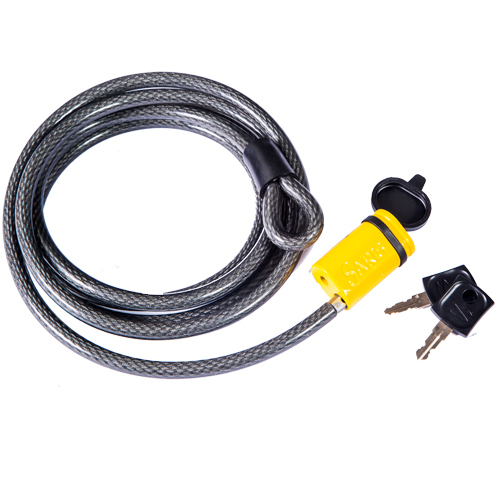 The Freedom SuperClamp EX is fully lockable and includes a locking Hitch Pin to secure rack to your vehicle and an integrated locking cable to secure bikes to the rack. 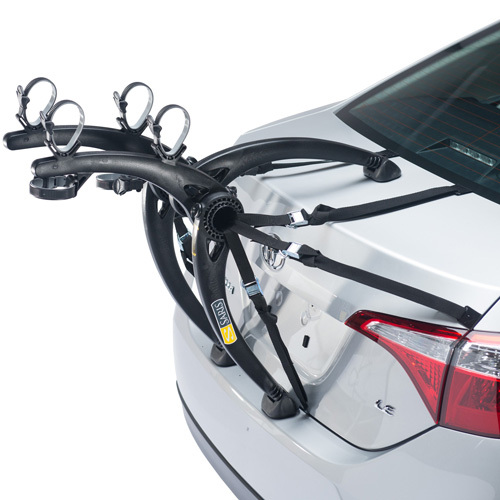 The Freedom SuperClamp EX Bike Rack is equipped with reflectors on the outside wheel trays for better visibility in low light. 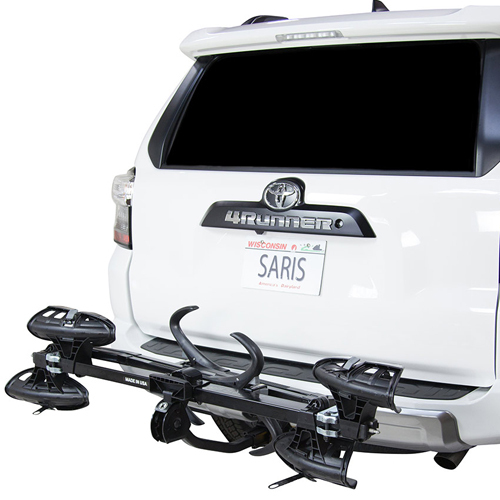 If you are concerned about rear mounted spare tire clearance or other compatibility issues please check our Saris Hitch Rack - Fit Tips Chart.